Test your desktop or mobile game by automating repeatable user actions at the GUI screen level. Our Robot tool automates the same gamer actions as a human being. Test as a user would control or operate the system, application or device. Utilise human like automation to drastically reduce the effort of cross-device and cross-platform software testing. Automation runs at the visual level of game display. 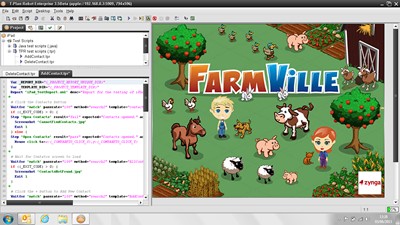 Built on Java our tool is environment and system agnostic and is able to connect to a multitude of different gaming solutions. Robot is the only image based test automation solution that supports OpenGL high performance graphics. Robot does not require any internal modification to the system or application under test. (For iOS we require only the inclusion of 2 files at runtime into the application). Full device testing supported. Competitive products able to test only within the application under test. One script execution, across all devices and platforms. No application authoring to include test tool hooks etc. I.e. NO Source Instrumentation (compile-time) code required. Allows your ‘vanilla’ application to be received (from the developers or third party) / downloaded (from the market or test portal etc.) / installed (like it would be in a production environment) and tested. I.e. True production environment readiness can be achieved, as no foreign code has been included into the application for testing. 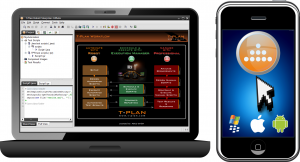 Mobile platform support for Android, iPhone, iPad, (iOS etc.) and others. Simply record your test scripts and then execute your tests on one or more machines and devices. Easy to use tools help you capture your verification items. I.e. the things you want to check etc.